As readers of this blog have learned, health care fraud can take many forms, even when the focus is on fraud involving public programs such as Medicare, Medi-Cal, and Medicaid. A similarly broad response applies to the related question: Who commits healthcare fraud? Perpetrators of Medicare fraud range from executives at large companies built on a culture of fraud, to the managers of medical organizations created for the sole purpose of advancing fraud, to individual providers and patients. Our California Medicare fraud attorney is committed to fighting fraud on all levels and welcomes calls from potential whistleblowers who wish to report any form of this heinous crime and any perpetrator of fraud that steals from the government and diverts monies desperately needed for the care of our country’s elderly, impoverished, and ill.
With an increasing number of Medicare fraud cases in the news recently, we’ve also seen a wide range of defendants. This month, the San Francisco Chronicle carried an Associated Press report on a case involving an orthopedic surgeon in Lake Charles, Louisiana. Dr. Lynn E. Foret entered a guilty plea to charges he defrauded Medicare, Medicaid, and private insurance carriers out of almost $1 million. According to evidence presented at the plea hearing, between 2003 and 2009 Foret repeatedly injected a steroid solution into the knees of patients while billing and collecting payments from the public and private insurers for a more expensive drug called Hyalgan. United States District Judge Richard T. Haik sentenced 64 year-old Foret, who closed his practice in December 2012, to a year in prison and three years of supervised release. He also ordered the doctor pay $871,948 in restitution and a fine of $25,000. 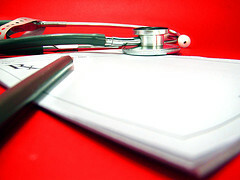 •	Providers – Schemes include submitting claims for services that were not provided or not necessary, upcoding to bill for a more expensive service than was actually provided, unbundling to charge separately for items that should be billed as one unit, and billing for a non-covered service by labeling it as a covered item. •	Suppliers/Recruiters – Suppliers may bill for a different item than they actually provide or bill for equipment that has been returned. Recruiters may solicit beneficiaries to participate in a scheme by offering a bribe or kickback. Schemes may be combined to include offering products that the beneficiary does not medically need. •	Companies – Non-health care companies may offer unapproved plans, violate Medicare marketing rules, offering incentives for insurance agents to take improper actions, or mislead beneficiaries into joining a certain Medicare plan. All can be forms of fraud. •	Beneficiaries – Individual program beneficiaries commit fraud when they allow someone else to use their Medicare/Medicaid benefits or when they provide their identification number in exchange for money, gifts, or other incentives to someone who uses it for fraudulent ends. In some cases, the beneficiary may be unaware that they are committing fraud and may not know the solicitors’ intentions. Who Fights Healthcare Fraud? We Do. And Maybe You Do Too. Who commits healthcare fraud? Clearly, the perpetrators of fraud are a broad, wide-ranging, and large group. What about a follow-up question: Who FIGHTS healthcare fraud? Again, the answer can be broad, including government investigators and nonprofit groups. It can also include you, an ordinary citizen. If you uncover health care fraud, whether in the course of employment, by being solicited to participate in a fraudulent scheme, or through another means, we can help you fight it. In fighting Medicare fraud and other forms of health care fraud, you help stop a crime that costs our country billions of dollars a year and diverts money intended for critically needed medical services. You may also be eligible for a substantial reward if your involvement helps lead to a recovery. Call to arrange a free consultation with our California healthcare fraud whistleblowers’ law firm to discuss how we can work together to fight fraud in our state and our nation.